While you'd like to get the best price for your home, consider our six reasons to reduce your home price. If weeks go by with no offers, continue to check out the competition. What have comparable homes sold for and what's still on the market? What new listings have been added since you listed your home for sale? If comparable home sales or new listings show your price is too steep, consider a price reduction. If your home will be for sale this winter, it is important to master certain seasonal issues that are less significant or even non-existent at other times of the year. Here are 10 bits of sage advice from RE/MAX agents that can help put a “Sold” sticker on that yard sign. Let Those Lights Shine: The best way to combat winter’s short and frequently cloudy days is to turn on your house lights. For a showing, every single light in the house must be on, even in the closets and utility/mechanical rooms, according to Marlene Granacki of RE/MAX Exclusive Properties, Chicago. She also advises opening the drapes and blinds during the day to let in light and let visitors enjoy the view. 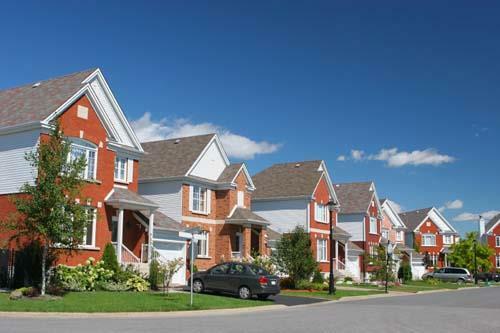 Provide Convenient Parking: It’s vital that buyers have a convenient place to park. They won’t want to walk very far in cold weather or be forced to climb over a snow bank to exit their vehicle. Because parking is often more restricted around condominiums, sellers should make sure their agent can pass along parking details to buyers. Make It Easy to Enter: Winter showings can get off to an awkward start if prospective buyers arrive with snow or salt on their shoes. Keep Odors Under Control: Any home tends to be stuffy in winter when windows are opened rarely. That can allow odors to build up, which can be a turn-off to buyers. “Pet odors can be especially worrisome in winter,” says Mike Mondello of RE/MAX Synergy in Orland Park, Ill. “Use a room fragrance if needed, but nothing too strong, and I recommend that in winter sellers clean more often.” For example, change the cat litter daily, rather than every third or fourth day, or even consider using an air purifier. If pets are in the house, consider setting the thermostat control so that the furnace fan runs constantly during the day to keep air moving through the house and dissipate odors. Also try to avoid strong cooking odors, especially if a showing is scheduled that day. Cultivate a Festive Look: Appropriate decorations for Christmas and even St. Valentine’s Day help give a home a cheerful look during the winter months. Don’t Ignore the Outdoors: Make a good first impression on buyers with a neatly maintained yard. Walks and steps should be kept clear, especially of snow and ice. Look after Condo Common Areas: If the home you are selling is a condominium, your job as a seller may be relatively easy in winter, with no snow to shovel or yard work to worry about. However, that is only the case if your condominium association does its job well. If the association isn’t doing it, the homeowner may have to take responsibility for keeping the entrance area and hallways clean. If the association isn’t getting snow shoveled promptly, consider buying some de-icing salt and sprinkling it judiciously around the building entry. Don’t Roast Buyers: We all tend to prefer a specific temperature for our homes during the winter, but don’t blast buyers with hot air. Keep the temperature at a comfortable 65 degrees for all showings. Remember, buyers are likely to be wearing their coats even as they walk through the house. To keep gloves and scarves from piling up in the front hall or mudroom, put a special container for them, such as a decorative chest, where the family typically enters the home. Encourage Day Time Showings: A home shows to its best advantage during daylight hours, which are relatively scarce in winter. “Encourage your agent to show your home before 3 p.m. and have it ready to show by 9 a.m. if you want the best results,” Granacki recommends. 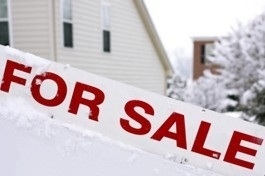 Despite the special challenges of marketing a home during winter, there also are benefits, notes Laura Ortoleva, a spokesperson for the RE/MAX Northern Illinois real estate network. “Buyers out looking at homes in December or January are, as a group, quite serious about buying. Therefore, sellers tend to benefit because each showing is more productive, and fewer showings are needed to sell the property,” she said. For more information, visit www.illinoisproperty.com  and www.remax.com . RISMedia welcomes your comments and questions. Email realestatemagazinefeedback@rismedia.com . Have you heard about RISMedia’s Real Estate Information Network® (RREIN)? RREIN is an elite network of leading real estate companies dedicated to providing consumers and their agents with leading real estate information, and committed to the belief that Information Share Equals Market Share. Having only launched this past June 2010, the RREIN network is already comprised of 40 leading brokerages, which make up 575 offices, 30,000 agents, 167,000 closings and represents over $41 billion in transactions. How can RREIN help your recruiting efforts and differentiate your company today? For more information, email rrein@rismedia.com . One of the hardest, most important decisions homebuyers face is how much to offer for their home. And the glut of information on the web about real estate only makes buyers even crazier than the decision itself does. Supply, demand, foreclosure rates, mortgage rates – buyers think they need to run spreadsheets and do fancy math to make a smart offer. And THAT can be super intimidating. But the fact is, there is a pretty short list of steps you need to take to make a smart offer – one that gets you a great value, but is also likely to be successful at getting the property. (A low offer does not make for a great deal if you don’t get the house!) And most of the same steps apply to sellers trying to set the list price that will lure the most buyers (and net them the most cash)! Step 1: What do the “comps” say? First things first. When it comes to pricing a home, or making an offer to buy one, the ‘first thing” is the home’s fair market value. Both buyers and sellers should work with an experienced, local agent to understand what the home’s value is. Most agents will do this by offering you a look back at similar properties that have recently sold in the neighborhood – i.e., the comparable sales, or comps. HINT: You can also find comps for a home listed on Trulia by scrolling down to the section labeled Sold Homes near 1234 Merriweather Lane on the property's Trulia listing page. (b) result in a sale price at which the property will actually appraise, later on - avoiding the common glitch of the deal falling through because the appraisal comes in way below the agreed-upon price. Also, looking at comps is the first step for locating a home’s seller and prospective buyer in the reality-based universe ofcurrent home values. The fact that you bought or refinanced the place at a given value 5 or 6 years ago is entirely irrelevant to what it’s worth today, as is the buyer’s belief that the place was worth $100K less at the trough of the market, in 2009. Buyers – it’s a must to make sure that your offer price for any given home falls within the range of what is affordable for you. This includes offering a price within the range for which your mortgage was preapproved, but also includes making sure that the monthly payment and cash you’ll need to close the deal (down payment + closing costs) are affordable in light of the particular house. If, for example, the property will require repairs for which you’ll need to conserve cash, or has HOA dues you hadn’t planned on, you may need to rejigger your offer accordingly. Step 3: What’s your competition? (And what’s theirs?) This is another step at which it’s critical to check in with your agent. You need to know what level of competition you’ll face – whether you are a buyer, or a seller. As a seller, you can find this out by looking at things like how many comparable homes are listed in your town or your neighborhood in your general price range (your agent will brief you on this). Sellers should also consider what type of transactions their home will be up against – the more distressed properties (foreclosed homes and short sales) with which your home must compete, the more aggressive you must be with your pricing to get your home sold. Buyers should also be cognizant of the competition level they will face for homes. Believe it or not, even on today’s market there are properties and neighborhoods in which multiple offers are the name of the game. Work with your agent to understand the list price-to-sale price (LP:SP) ratio , which lets you know how much under or over the asking price properties are selling for in your target home’s neighborhood; the higher the LP:SP ratio, generally speaking, the less competition there is among buyers. 4. How much do they need to sell (or buy) it? Buyers: Has the listing in which you’re interested been reduced at all? By how much? Has the listing agent informed you that her clients are highly motivated, flexible or have an urgent need to sell? Sellers – most buyers are not in a high state of urgency to buy these days, given the long-term, high affordability of homes and interest rates, except when they have an urgent personal reason for moving, e.g., buyers who are relocating for work. Of course, all of real estate is hyperlocal, so it’s important to understand how motivated buyers are in yourlocal market, generally speaking, before you set your list price. · how likely a home in the area is to have multiple price reductions. The higher these numbers are, the stronger of a buyer’s market it is, and the more bargaining power buyers likely have. And if you’re the seller, the higher these numbers are for your area, the lower you may need to price your home to be successful at getting it sold. 5. How much do you want to buy, or sell, the place? Step #4 was about taking the motivations of the folks on the other side of the bargaining table into account when formulating your offer and your list price. This step is all about you – what’s your level of motivation? Now, buyers, you certainly shouldn’t offer a price way above what the place is worth (see Step #1) just because you really, really want it, unless you have the cash to throw around. But within the range of the home’s fair market value, it may make sense to move higher within that range if you are highly motivated to get that particular property. Sellers: think of your list price as the most powerful marketing tool at your disposal. if you really want or need to sell, get aggressive about setting your price as low as makes sense for your your home's value and local market dynamics to attract qualified buyers and help your home stand out against all the competition. If you're ready to buy a home, go for it. Don't wait to reap the benefits of homeownership. 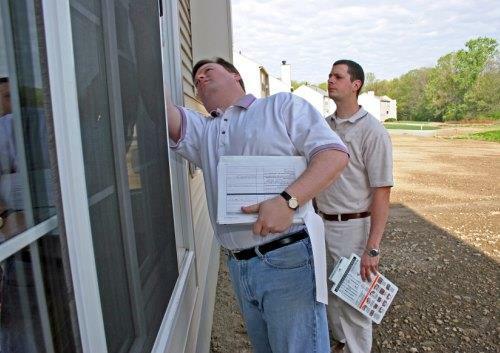 If you get bad results on your home inspection, an inspection contingency lets you back out of the contract. That huge stack of closing papers can be overwhelming, but it's important to take the time to review them. 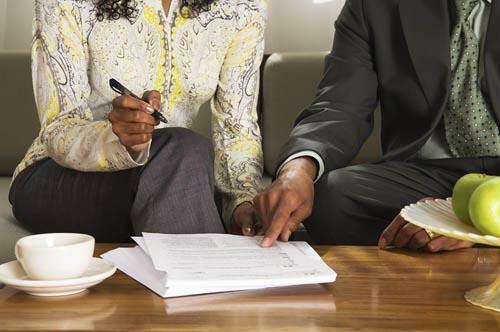 If you did your homework, you had your trustworthy real estate attorney review all your paperwork and discuss it with you so you don't get a nasty surprise at closing. Let's face it -- you won't have time to read that six-inch stack of legal documents at the closing table. Fortunately, there are a select few documents and items that are truly critical, and you can request a copy of these in advance. This gives you time to review them and ask questions before closing. Be present at your home inspection so you can ask questions. Even if a home looks flawless, it's a mistake to assume that it's actually problem-free. All homes have defects -- even brand new ones -- so getting a professional inspection before making the commitment to buy is crucial. Be sure to attend the inspection so the inspector can explain any issues. Don't rush into buying the first home you fall in love with. Take the time to compare several homes to find the right one for you. Buying the first house you like is kind of like marrying the first person you go on a date with: not necessarily a good idea. If you don't shop around and see what else is out there, you could miss out on a good deal or potentially regret your purchase. While you don't need to visit every home in the neighborhood, you should compare at least three homes before you make a decision to ensure that you're getting the right house at the right price. 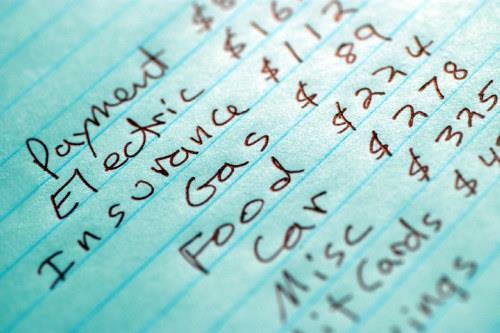 Tally up your fixed monthly expenses to determine how much you have leftover for a mortgage payment. Just because a lender is willing to loan you a fortune doesn't mean you should take it. 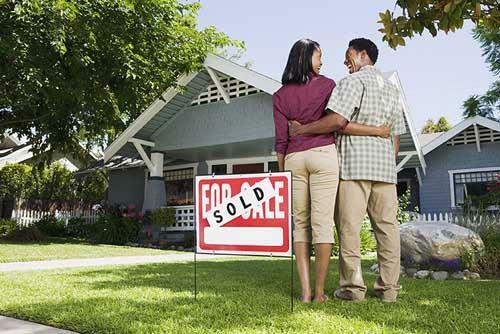 Buying more home than you can afford can quickly lead to financial trouble. As a rule of thumb, your mortgage payment should be less than 28 percent of your gross monthly income. Besides your mortgage payment, be prepared for the additional costs of homeownership, such as insurance, property taxes, utilities and maintenance. You may want to scale back the size of the home you're looking for in order to bring the whole package in line with your budget. Fixing up a fixer-upper can be quite expensive. Know what you're getting into before buying a home that needs major repairs. Some homebuyers are so set on finding a bargain, they overlook the fact that buying a home that needs repairs can be a stressful and expensive endeavor. Before buying a fixer-upper, get estimates on any necessary repairs and renovations and make sure they will pay for themselves in increased property value. 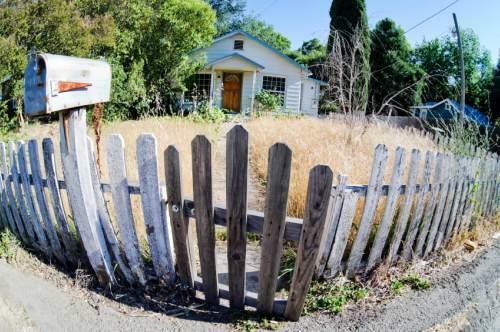 The foreclosure market is also full of opportunities, but it's important to be aware of the potential pitfalls before buying a foreclosed property. You'll enjoy your new home even more if you find a neighborhood that fits your lifestyle. What good is having your dream home, if you don't like the community where it's located? Before shopping for a home, shop for a neighborhood. Make sure it's a good fit for your lifestyle -- figure out how long you want your work commute to be, how close you want to be to amenities like shopping and nightlife, and which school districts are the best. Even if you don't have children, living near good schools raises your property value. Visit the neighborhood several times and at different times of the day. The biggest incentive for finding a quality community: a great neighborhood will increase your home's value, while a bad one will drag it down. Shop for a home with your successors in mind. Look for buyer-friendly features, such as ample storage space. The house you purchase should be a place that feels like home to you and your family, but it's important to remember that it's also a huge investment. When shopping for a home, it pays to think about resale down the road. Search for homes in sought-after locations, and look for features that future buyers will want, such as central air conditioning and lots of storage space. Pre-approval lets you know how much you can afford before you start shopping for a home. Why get your hopes up looking at $500,000 homes, when you can really only afford a $300,000 home? Before you start house hunting, narrow down your price range by getting pre-approved. Shop for a lender or mortgage broker you can trust. The mortgage pro will review your credit, income, assets and debts, and recommend a mortgage with monthly payments that fit your budget. The result is a good faith estimate, a document that spells out the likely terms of your loan, including the interest rate and closing costs. Not only does this let you know how much house you can afford, it also lets sellers know that you're serious about buying. This or That: Leave Your AC On or Turn It Off? A common myth about the way air conditioners work may be wasting your money and contributing to global warming. Use your AC wisely to save money and keep cool. 06-16-09 RODALE NEWS, EMMAUS, PA—We’ve all wondered this at some point, usually during after coming home to a stifling house on a long, hot, summer day: Do you save energy by shutting off your air conditioner when you’re gone for the day? Or is it better to just let it run at the same temperature setting all day long, so you don’t expend extra kilowatts starting it up and getting the premises to a comfortable temperature? Wasting energy not only costs you more money, it leads to more burning of coal and other fossil fuels that contribute to global climate change. We contacted Jennifer Thorne Amann, MES, buildings program director for the American Council for an Energy-Efficient Economy (ACEEE), to help us figure it out. THIS: Leave the AC running, set at the same temperature all day. The theory: If you leave the AC running with the temperature set at a comfortable setting, the stable temp means the air conditioner won’t have to work as hard. THAT: Turn the AC off when you leave, turn it on when you get home. The theory: If you let the house get hot when you’re away, the air conditioner will use more energy when it’s time to cool things down. That. Turn it off when you leave. It may seem like a waste of energy to turn your air conditioner on and off, but doing so actually saves you a fair amount of money and helps your air conditioner work more efficiently, says Amann. While it may seem like your unit has to work hard to cool a space down from 80 to 75 degrees, “air-conditioning systems run most efficiently when they’re running at full speed,” rather than running for shorter periods at a less powerful speed to maintain a constant temperature all day, Amman says. They’re also better able to dehumidify your house, she adds, when they run full blast. If you have central air, or a window unit with a thermostat, you can save energy and keep things from getting unbearably torrid by setting the thermostat higher. ACEEE estimates that air conditioners use 3 to 5 percent less energy for every degree you raise the thermostat. To get the best energy savings, leave your thermostat set at 78 degrees or higher while you’re out. • Buy a programmable thermostat. Whether you turn your central air off or turn its thermostat up when you’re out of the house, a programmable thermostat can crank up the cool factor before you get home. That way your house will be comfortable when you walk in the door. Amann notes that you’ll need to buy a thermostat that suits both your cooling and your heating systems. Some models don’t work with heat pumps, which can pose a problem in the winter, so check with whoever installed or services your system. If you use a window unit, an appliance timer can serve a similar purpose; newer models may include a timer as well as a thermostat. • Buy a ceiling fan. Fans don’t necessarily cool a room, but they move air across your skin, making you feel comfortable at a higher temperature. That allows you to set the thermostat higher and stay cool while using less energy (especially if you buy a fan that’s Energy Star rated). However, because it doesn’t reduce the temperature of a room, it’s a waste of energy to leave a ceiling fan on in the hopes that it will keep your house cooler while you’re gone. • Plant some bushes. Large, shady bushes planted on the south and west sides of your house will reduce heat gain during the day. • Create crosswinds. The easiest way to cool a house? Open a window—but not too much. The less you open it, the more of a draft you’ll create. You can create cross breezes in a one-story house (or a single room) by cracking one window’s bottom sash and another’s top sash. If you live in a two-story house, open a window on the first floor a crack and another window upstairs on the opposite side of the house. Experiment to see which windows work best and how much you should open them. The term 'climate change' is sometimes used to refer to all forms of climatic inconsistency, but because the Earth's climate is never static, the term is more properly used to imply a significant change from one climatic condition to another. In some cases, 'climate change' has been used synonymously with the term, 'global warming'; scientists however, tend to use the term in the wider sense to also include natural changes in climate. Surprise: It's not okay to wait a year to send a wedding gift. From Peggy Post, a refresher course on this and other tricky rules. 1. The mistake: Skipping an introduction. You don't introduce your friend Jen to acquaintance Ann because you've forgotten Ann's name. Why it's wrong: You're being rude to both parties by not acquainting them with each other. What to do instead: Don't be ashamed to admit your memory lapse (we've all been there). It's better to fess up than to pretend that these people don't need to be introduced. Say to Ann, "I remember meeting you, but unfortunately, I just can't recall your name. I'm so sorry!" If anything sticks in your mind about your first conversation with the person, bring it up: "We had such a great talk about your days in the Peace Corps.... It's just your name that's escaping me. Please help me out!" If you're afraid you'll insult the person whose name you've forgotten, you can always ask the woman you're speaking with to act as a buffer: "Jen, I'm drawing a blank on the name of the woman who's approaching us, but I don't want to be rude. Would you mind introducing yourself?" 2. The mistake: Being a vague guest. For example, you're invited to a party but never respond. Or, you're going for an overnight visit but fail to tell your hosts when you'll arrive and leave. Why it's wrong: When you don't say yes or no to a party, the host may wonder if you're hoping a more exciting invitation will come along. You may be thinking no such thing, but the host can't know that, and her feelings could be hurt. In addition, she'll have a hard time making solid plans until she has a sense of how many people to expect (in the case of a party) or when guests are going to show up (for an overnight visit). What to do instead: RSVP to every invitation promptly (it's thoughtful to do so even when no response has been requested). If you must check your schedule or see whether you can take days off from work, tell your host what's what and let her know when you'll get back to her. If you're a houseguest, inform your host of your travel plans as soon as they're firm. 3. The mistake: Arriving at a party with a present in hand, even though the invitation says "no gifts, please." Why it's wrong: You'll likely embarrass all the empty-handed guests, who obeyed the instructions. What to do instead: "No gifts" means that the guest of honor really doesn't want the party to focus on presents. As a guest, it's your responsibility to respect those wishes. If you absolutely can't abstain -- you've found the perfect figurine for your aunt's Precious Moments collection, say -- give your gift in private either before or after the party. 4. The mistake: Asking someone you barely know the ethnic origin of her name. Why it's wrong: You may come off as more interested in her pedigree than in her personality. Worse, you could be suspected of prejudice or racism. What to do instead: If you're truly interested in learning about a person's background, engage her in a conversation that may naturally lead to a discussion of her roots: "Have you always lived here in Minneapolis?" Do remember, though, that some people prefer not to share personal information. If that seems to be the case, be considerate enough to move on to other topics. 5. The mistake: Asking the host of the party for a tour of her house. Why it's wrong: Unless it's a housewarming, the host has no obligation to show people around. And she may have any number of good reasons for not doing so. Maybe she's too busy in the kitchen -- or maybe she used the upstairs as a catchall while tidying up before you arrived. What to do instead: If your host doesn't offer a look-see, respect her privacy and don't ask. For the same reasons, avoid wandering past party boundaries -- if a room is dark or a door is closed, take the hint. 6. The mistake: Responding to a dinner invitation with "We'd love to come! Just so you know, I'm on a low-carb diet, and Sam's a vegetarian." 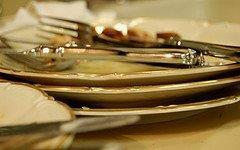 Why it's wrong: A dinner guest is just that: a guest. You wouldn't try to dictate what outfit your host should wear. Well, it's equally out of line to try to dictate the menu. What to do instead: If you're accepting a dinner invitation, there should be no strings attached -- so don't stipulate dietary preferences. (A few exceptions: Do let your host know if you have religious restrictions or a serious food allergy. Say, "I'd love to go, but you should know that I'm allergic to peanuts. I'm sure there will be plenty I can eat, but I'd appreciate you letting me know if I should stay away from something.") When you get to the dinner party, you can either decline any offending foods -- if they're being served family style -- or eat around them on your plate. Afraid you'll starve? Then have a snack before you go. 7. The mistake: Asking people to come to a restaurant to celebrate your husband's birthday -- but then expecting them to pay their own way. What to do instead: Be clear with invitees about your intentions. Here's how you communicate that you're picking up the check: "I'm hosting a dinner for Stan at Jackson's Place. Can you join us as our guest?" If you can't afford to entertain a large group at that restaurant, don't ask others to contribute. Simply invite fewer people, choose a less expensive location or have the party at your home instead. If the honoree is a friend rather than a relative, then the rules are different. To communicate clearly that you're merely the organizer, not the host, say something like this: "John, you heard about Jill's promotion. What do you think about the four of us -- you and Sara and Eddie and me -- taking Jill and her husband to Miromar's to celebrate? If you're interested, I'd be more than happy to make the reservation." Now John knows that if he says yes, he's picking up his share of the bill. 8. The mistake: Using a speakerphone without asking the person on the other end first. Why it's wrong: The person you're calling may be speaking confidentially, for your ears only. Or, your conversation partner may be hard of hearing, in which case the background noise picked up by the speakerphone could make it even more difficult for him. What to do instead: Explain up front that you'd like to put the phone on speaker and ask whether it's okay with the other person. Most people won't mind, but if you sense hesitation, explain your reasons -- for example, other people in the room may need to contribute to the conversation, or you'd like to have your hands free for taking notes. Does your phone mate still seem uncomfortable? Then do respect her wishes. 9. The mistake: Making comments about children -- "How old is he?" or "Isn't she thin?" -- in their presence. Why it's wrong: You wouldn't talk about an adult right in front of her face, and the same courtesy should be shown to a child. All but the youngest can -- and are usually more than happy to -- speak for themselves. 10. The mistake: Allowing yourself a year after the wedding to come through with a present. Why it's wrong: The notion that there's a 12-month grace period is pure myth. A wedding gift is given to celebrate the occasion, not the first anniversary! According to researchers who are paid to study such things, a load of dishes cleaned in a dishwasher uses 37 percent LESS water than washing dishes by hand! However, if you fill up one side of the sink with soapy water and the other side with rinse water - and if you don't let the faucet run - you'll use half as much water as a dishwasher does. Doing the dishes this way can save enough water for a five-minute shower! If you do use a dishwasher, it also conserves energy and water if you wait until you have a completely full dishwasher to run it (instead of a partly filled dishwasher). This way you are getting the biggest bang for your buck of running it...one load of a full dishwasher uses less energy and water as running two loads of a half-full dishwasher. Also, many dishwashers now have an "economy" cycle option. So if your dishwasher has this option, give it a whirl. Use it and save! Tackle that clutter by spending 10 minutes a day "power organizing." Here's how. Every day, choose one task: a paper-strewn desktop, a messy drawer, a disheveled closet. Now set your timer for 10 minutes and sort, toss and organize until the buzzer sounds. The goal isn't to finish the job in one session but to chip away at it in short, focused bursts known as "power organizing." Once you learn that, it won't be long before you notice dramatic results. Keep Ziploc® Brand bags and containers on hand while you work so you can stash clutter culprits like pens, toiletries, gloves, hats, etc. Invite a friend to join you so you can keep each other on track and swap daily progress reports. Avoid distractions: no phone calls, e-mails or television! Pennsylvania-based artist/author Barbara Lane calls this simple concept life changing. "I realized I could do anything for 10 minutes," she says. Nagging piles no longer hold her back. "I feel freer and lighter, and the creativity just flows now." Tax season is upon us, and homeowners everywhere will reap the benefits of tax breaks and incentives. If you're currently renting, consider the tax advantages of homeownership. Now may be the time to buy. If you're an owner or seller, new incentives will help you survive this tough housing market. Know what expenses you can deduct and understand how new laws affect you. Remember to consult your tax advisor. Deduct the interest you pay on your home loan on your tax return. That means the mortgage interest deduction reduces your tax liability. And because your mortgage payments for the first few years are almost entirely comprised of interest, they are almost entirely tax deductible. Deduct property taxes and points you paid to lower your loan's interest rate. The IRS offsets the expense of your state/local property taxes by allowing you to deduct them from your itemized income tax return. And you get a tax benefit if you paid points to lower your mortgage interest rate. Take advantage of new laws in a challenging market. New homebuyers can get an $8,000 tax credit, short sellers won't be penalized for forgiven mortgage debt, and homeowners can contest their property taxes in a declining market. Request a property tax reassessment if your home's market value has declined. You don't need to pay for a special service to have your local tax assessor adjust your property taxes. If your property value is significantly lower now than when you bought it, show proof of your home's current market value and recent comparable sales in your neighborhood. Research past and proposed assessments that may apply to your home. Understanding property taxes and assessments will give you a truer picture of the cost of homeownership and help you predict and control your monthly expenses. Get a reliable estimate of your property tax bill. If you're buying a home, don't rely on the tax data in the property listing. Depending on the circumstances of the sale, your tax bill can differ from the previous owner's bill. Wrap your property taxes into your monthly mortgage payment. If paying one huge tax bill once or twice a year seems daunting, consider getting an escrow account. Also called an impound account, it protects the lender and offers convenience for the homeowner. Understand how capital gains tax is calculated. When you sell your home, you're taxed on any profit over $250,000 if you are single, $500,000 if married. But calculating your gains isn't as simple as "price you sold it for" minus "price you paid for it." The IRS takes into account the money you put into improving the home as well. So remember to save receipts for any repairs, maintenance and upgrades. Know how your tax situation changes with every real estate move you make. Whether you're buying a home, refinancing or renting out an investment property, understand how you'll be affected tax-wise. See if homeownership lowers your tax liability. Your tax situation varies depending on your stage in life. Examine your payroll withholdings and reduce them to account for the reduction in net tax liability. That means more money in your pocket every pay period. 1. Myth: Buyers with bad credit can’t qualify for home loans. Obviously, mortgage guidelines have tightened up, big time, since the housing bubble burst, and they seem likely to tighten even further over the long-term. But just this moment, they have relaxed a bit. In the last couple of weeks, two of the nation’s largest lenders of FHA loans announced that they’ve dropped the minimum FICO score guideline from 620 (which allows for some credit imperfections) to 580, which is actually a fairly low score. At a FICO score of 620, buyers can qualify for FHA loans at many lenders with only 3.5 percent down. With a score of 580, the lenders are looking for more like 5 to 10 percent down – they want to see you put more of your own skin in the game, and the higher down payment lowers the risk that you’ll default. 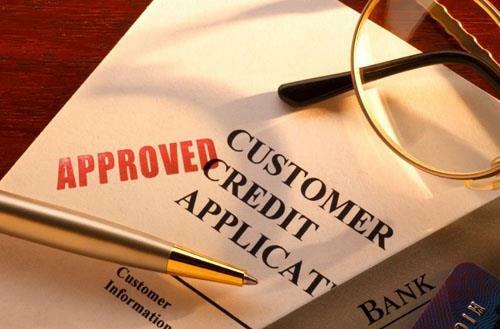 However, if your credit has taken a recessionary hit, like that of so many Americans, this might create a glimmer of hope that you’ll be able to take advantage of low prices and interest rates without needing years of credit repair. 2. Myth: The Mortgage Interest Deduction isn’t long for this world. Homeowners saved over $85 billion in 2008 by deducting their mortgage interest on their income tax returns. A few months ago, the National Commission on Fiscal Responsibility and Reform caused a massive wave of fear to ripple throughout the world of real estate consumers and professionals when they recommended Mortgage Interest Deduction (MID) reform, which would dramatically reduce the size of the deduction. 3. Myth: It’s just a matter of time before loan guidelines loosen up. The US Treasury Department recently recommended the elimination of mortgage industry giants Fannie Mae and Freddie Mac. I won’t get into the eye-glazing details of it here, but the long and the short is that (a) this is highly likely to happen, and (b) it will make mortgage loans much harder and costlier to get, for both buyers and homeowners. It’s possible that loans are as easy to get as they’re going to get. So don’t expect that if you hold out, zero-down mortgages will come back into vogue anytime soon. Fortunately, Fannie and Freddie aren't likely to disappear for another 5-7 years, so you have a little time to pull your down payment and credit together. If you want to get into the market, the time to get yourself ready is now! 4. Myth: If you don’t have equity, you can’t refi. Much ado is being made about how stuck so many people are in their bad loans, because they don’t have the equity to refinance their way out of them. If you’re severely upside down (meaning you own much, much more than your home is worth), stuck may be the situation. But there are actually a couple of ways homeowners can refi their underwater home loans. If your loan is held by Fannie or Freddie (which you can find out, here), they will actually refinance it up to 125% of its current value, assuming you otherwise qualify for the loan. That means, if your home is worth $100,000, you could refinance a loan up to $125,000, despite the fact that your home can’t secure the full amount of the loan. If your loan is not owned by Fannie or Freddie, you might be a candidate for the FHA “Short Refi” program. While most mortgage workout plans are only available to people who are behind on their loans, the Short Refi program is only available to homeowners who are current on their mortgages and need to refinance up to 115 percent of their homes’ value. So, if you owe $250,000 on your home, you can refinance via an FHA Short Refi even if your home’s value is as low as $217,000. If you think you’re a good candidate for a short refi, contact your mortgage broker, stat – there are some in Congress who think that this program is so underutilized (only 245 applications have been submitted since it rolled out in September – no typo!) that its funding should be diverted to other needy programs. 5. Myth: If you’ve lost your job and can’t make your mortgage payment, you might as well mail your keys in. Until recently, this was essentially true – virtually every loan modification and refinancing opportunity required that your economic hardship be over before you could qualify. And documenting income has always been high on the requirements checklist. But there are some new funds available in the states with the hardest hit housing and job markets, which have been designated specifically for out-of-work homeowners. Four years into the housing crisis, myths about foreclosure still litter the minds of even the smartest of real estate consumers. When it comes to matters as high stakes as your home, confusion can cost you thousands - or even your home. Whether you’re a buyer looking at foreclosures, a homeowner struggling to keep your home or a seller concerned making sure your home can compete with the foreclosed homes on your block, these foreclosure myths are prime for the busting, with no further ado. Myth #1: Foreclosure happens fast. With unemployment and underemployment still affecting nearly 1 in every 4 Americans, no one is immune from fears that a pink slip might quickly turn into a foreclosure notice. According to NeighborWorks America, nearly 60 percent of families seeking foreclosure counseling cited a lost job or cut wages as the reason they were facing foreclosure. While the Obama Administration's Home Affordable Programs haven't been nearly as effective as predicted in actually preventing foreclosures, they have had the effect of extending the foreclosure process for many families. Even though the legal process of foreclosure can happen in as few as 6 months in most states, it is currently taking much longer for the average foreclosure to get to completion. Recently, JP Morgan Chase revealed that their average borrower who loses a home to foreclosure has not made any payments in 14 months nationwide; 22 months in FLorida and 26 months in New York. To be sure, some see this as a good, others view it as unnecessarily dragging out the overall market's recovery. Many insiders will point out that these delays in foreclosure may be calculated to save the banks the costs of owning and maintaining foreclosed homes, not to help homeowners. In any event, the fact that foreclosure does not happen nearly as fast, in many cases, as expected does give families who are temporarily down on their luck some extra time to try to get back on their feet and save their homes. Myth #2: Buyers can’t get clear title or title insurance on foreclosed homes. When the foreclosure robo-signing scandal first hit, there was widespread concern that buyers would not be able to get clear title on foreclosed homes, because the former foreclosed owners might be able to come get their homes back when the improprieties in the bank's foreclosure documentation processes came fully to light. At the same time, several of the country's largest title insurance companies publicly balked at issuing policies on bank-owned homes until the issue was resolved. At this point, the banks claim they have revamped their processes, and all banks have stated that they have found not a single borrower whose home was repossessed without them having missed the requisite number of mortgage payments. Nevertheless, a number of governmental investigations are still in progress. The fact is, buyers of bank-owned properties in nearly every jurisdiction are protected from later title attacks by foreclosed homeowners by the bona fide purchaser rule, under which courts would prefer to simply award cash damages to be paid by the culpable bank to a wrongfully foreclosed-on homeowner, rather than reversing the sale or ownership to the new, innocent buyer. Additionally, the title insurers have now changed their tune and restarted issuing insurance policies on bank-owned homes which protect buyers' interests, after working with the banks for them to take responsibility in the event a former homeowner prevails in a wrongful foreclosure suit. While there are still many intricacies of title to be resolved for foreclosure buyers who purchase homes at trustee sales and auctions, or for cash buyers who often went without title insurance in the past, on the average, Trulia-listed, bank-owned property purchased with an average mortgage and title insurance, the chances a buyer's title will later be successfully challenged by the foreclosed homeowner on the basis of robo-signing? Exceedingly slim. Myth #3: Buyers should wait for the shadow inventory to be released. Many a buyer, discouraged with the homes they see on the the form in their price range, has decided to sit still and wait for the banks to release for sale what is called their "shadow inventory" - rumored to be anywhere from 4 to nearly 6 million homes that have already been foreclosed, but not listed for sale, or will be foreclosed in the near future. The fact is, to the extent that the banks have acknowledged the existence of a pool of homes they own but are not selling, they have expressed that their reasoning for holding the homes off the market is to avoid flooding the market and driving home values down any further. For that reason, buyers should not expect to see a massive influx of these shadow homes onto the market anytime soon - if ever. The banks' current modus operandi is that as they sell a home, the replace it with another home in that market - if they sell 50 homes in a town that month, they'll put another 50 on the next. So, don't hold your breath waiting for a fabulous new flood of homes. Instead, set up a Trulia alert to notify you when homes that fit your search criteria come on the market, and be ready to call your agent and go visit any and every one that looks like it might be a good fit. Myth #4: If you’re looking for a deal, you’re looking for a foreclosure. Despite what they may say, no buyer’s heart's fondest desire is to buy a foreclosure. But almost every buyer dreams of buying a great home - and getting a great deal on it. Many people think that to get a great value on their home on today's market, it means they must buy a foreclosure. As a result, the value and other advantages of buying an individually-owned home on today's market are frequently overlooked. Individual sellers with homes on the market right now are generally quite motivated, and understand that their homes are competing with discounted short sales and foreclosed homes. Many of these sellers are slashing prices in an effort to get them sold - the most recent Trulia Price Reduction Report revealed that 27 percent of homes on the market across the country have had at least one price reduction. Now that's what I call a sale! Further, individual owners are often much more negotiable on a wide range of contract terms than a bank which owns a foreclosed home. You can work with non-bank owners on things like repairs, closing dates, choice of escrow provider, closing costs and even included personal property much more flexibly than you can when the bank is on the other side of the bargaining table. On top of that, many individually-owned homes are in pristine, move-in condition; that is much rarer with foreclosures. So, don't underestimate the value of the deal you might be able to get on a non-foreclosed home. Just get clear on what you can afford and look at all the homes that are available in that price range, without discriminating against non-foreclosures. Myth #5: Having a foreclosure on your credit history means it'll take years and years before you can buy again. One of the most Frequently Asked Questions in the Trulia Voices Community by homeowners who are facing or have just lost a home through foreclosure is how long it will take before they'll be able to buy again. Until recently, the standard wisdom was that 5 years, minimum, would have to have elapsed between the foreclosure and the new home purchase. Now, though, borrowers can obtain an FHA loan with the low, 3.5 minimum down payment requirement as soon as 3 years following a foreclosure. To do so, though, all your other ducks must be in a row. Post-foreclosure buyers need a credit score of 620-640 to qualify for an FHA loan; higher for a non-FHA loan - given that the foreclosure itself usually dings anywhere from 100-150 points off the credit score (not necessarily counting a full year or more of pre-foreclosure missed payments), former homeowners who want to buy again need to ensure they have no other late payments or credit dings after they lose thier home. You must have clean credit with no derogatory marks like late credit card payments following the foreclosure, and you may also be required to document 12 to 24 months straight of on-time rent payments after the foreclosure. Further, the bank may impose a lower debt-to-income ratio on post-foreclosure borrowers than on borrowers who have not had a foreclosure, in an effort to keep your mortgage payments low, keep you from overextending yourself and boost the chances you'll be a successful homeowner over the long-term this time around. The bank will also need to see 2 years of continuous employment history in the same field, and documentation that you meet other loan qualification requirements. After years of upsizing, Americans are enjoying the benefits of more modest living spaces. Years before house staging came into vogue as a sales tool, Howard Hoffman was helping sellers rearrange their furniture to maximize floor space and enhance a home’s beauty. 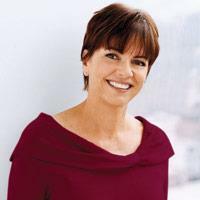 Hoffman, GRI, SRES®, now owns Stage & $ell, a home staging and redesign company in Indianapolis. Chances are he’ll have a lot more business in the years ahead from people needing to resize their lives. With baby boomers entering retirement, young adults delaying marriage, and the economy improving by fits and starts, Americans are starting to embrace the idea that less is more when it comes to their square footage. The average size of a new house decreased last year for the first time in nearly three decades. "Home buyers have been changing," says Fran Litton, a planner with Evans Group, an architectural firm in Orlando, Fla. "They still want the luxury and toys, but they’re putting them into a smaller space." Although the average square footage of a new house is still double what it was in 1960, in the last year, it decreased slightly to 2,215 square feet from a high of 2,277 square feet in 2008, according to data from the U.S. Census Bureau. While the decrease doesn’t approach mid-20th century levels, it is the first drop in house size since the recession of the early 1980s. Smaller houses can mean bigger challenges for real estate professionals. "Eighty percent of people appreciate only what they can see," says Hoffman, who also works as a sales associate with F.C. Tucker Co. in Indianapolis. "You have to make sure you’re showing them what you’ve got." That means making sure each room is easily identified. "Get rid of that desk and computer in the dining room," he says. "Make sure buyers can see it’s a dining room." Hoffman also advises clients to remove rugs to show off hardwood floors and take pictures off the walls. "The less the eye has to distract it, the bigger a room feels," says Hoffman. "People buy what they see. If they can’t see the floors or the walls, they won’t buy the house." Interior designer Roberta Lathrop agrees. She tells her clients with smaller kitchens to clear the counters. "You can’t have all the small appliances sitting on the counter," says Lathrop, who runs Designs by Roberta in Belmont, Mich. "It will start looking very cluttered very fast." Smaller houses require owners to rethink what they have and how they use things. "If you have a smaller house, maybe you don’t need half a dozen different pans," she explains. "Maybe a single flat griddle that you can put over a couple of burners will do." One of the first tasks she assigns clients is to go through their stuff—ruthlessly. "We all have too much stuff," she says. "Get rid of it. If you’re attached to an item, or think maybe you’ll need it, put it in a box and store it somewhere for six months. Then go back through it. Have you used it? Have you even missed it? If not, donate it. Get it out of the house." That goes for clothes as well, she says. Removing clutter is only one aspect of getting a smaller house ready to sell—or just living contentedly in it. Some big pieces of furniture, for example, won’t fit in modestly sized houses. "Take a look at the scale of your furniture, and don’t forget depth," Lathrop says. "Things can be a lot deeper than you realize, and all of a sudden, there’s no room to walk because that deep, comfy chair you love comes halfway out into the room." Hoffman frequently asks sellers to remove furniture from rooms that feel overstuffed. "If you’ve got a huge china cabinet in a small dining room, it’s distracting," he says. "At least take the hutch off." The color palette is very important in a smaller house, says Matthew McNicholas, an architect with MGLM Architects in Chicago. "Loud colors make a space feel smaller because they jump across the room at you," he says. "You want the walls and your furniture to recede." That doesn’t mean everything has to match. "Eliminate the high contrasts," he says. Lathrop says the same colors should move throughout the house. "Blend colors in more medium tones," she says. 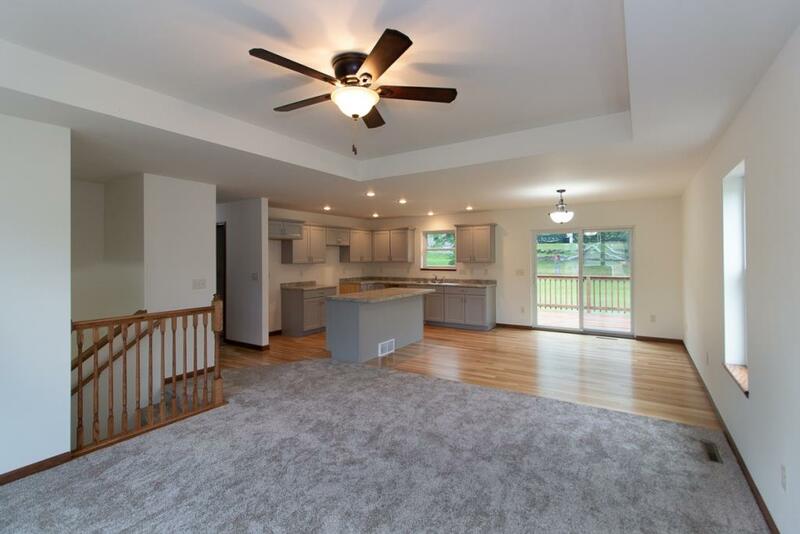 McNicholas suggests installing a single type of flooring throughout the house. "Using the same color carpet or the same hardwood pulls your eye along from room to room, and maximizes your perception of space," he says. Strategic lighting is another way to create the illusion of more space, the experts say. "Use corner uplighting and a room will feel much more open," Hoffman says. In fact, he adds, make sure the house is flooded with as much light as possible. That means trimming bushes or trees that block windows and tying back or removing heavy draperies that close in a room. Another way to maximize space is to install as much covert storage as possible, such as pressing the furniture into double duty. Hoffman encourages clients with children to buy large wicker baskets that function as coffee tables and toy storage. When selling a smaller house, he tells clients to keep a couple of large laundry baskets handy. Then, if they have to leave in a hurry for a showing, they can pack the baskets and take the clutter with them to the car. Before purchasing any furniture or accessory, it’s critical to map out a room. "That way you won’t discover you can’t open the door to the storage compartment in your new end tables," Lathrop says. She recommends putting a small console in the entry or living room and buying bookcases with a cabinet section. And then there’s the closets: Clean them out. Kay Courtney, CRS®, GRI, a broker in Grand Rapids, Mich., encourages her clients to remove half the items from their closets to get ready for showings. "If the closet is overstuffed, it says to a potential buyer, ‘There’s not enough storage space in this house.’ "And just to live comfortably, she recommends storing off-season clothing somewhere other than the closet, such as under the bed. And don’t forget the basement. Courtney says adding a few inexpensive cabinets, even to unfinished basements, can create lots more storage for off-season clothes and infrequently used items from the kitchen. Hoffman reminds his sellers not to forget the outside of a house. High bushes, overgrown trees, lots of outdoor furniture, and other yard paraphernalia can make a house look smaller. "People want the ideal," he says. "If you don’t have it, create it." Installing flower boxes or hanging a swing on the front porch adds a touch of charm and coziness to a smaller house. For the more adventurous, McNicholas offers a few easy structural changes that give the illusion of more space. Higher ceilings make a room feel larger. In an existing house, building out a small soffit along the edge of the ceiling, creating a tray effect, tricks the eye into thinking the center of the room is higher than the edges. "It feels bigger," McNicholas says. And lowering the ceiling in a hallway makes the rooms off it feel bigger and grander. "Even a few inches makes a big difference when you walk into the room and get the sense of that extra height," he says. Buyers also may need some extra coaching when looking at smaller houses. "You have to show them how they can repurpose rooms, like splitting that fourth bedroom they don’t need to accommodate a master bathroom and closet," Hoffman says. It’s not uncommon for him to bring along an architect or remodeling expert to help potential buyers see the possibilities. "People want the perfect house immediately," he says. "When they’re buying a smaller house, you have to prep them. Let them know they may have to make a few changes, but that it’s not scary or overly difficult." He also likes to highlight the benefits of smaller houses. "They tend to be closer to the city, which means easy access to public transportation," Hoffman says. "And they’re often single floor, too, which can be useful in so many ways, from cleaning to just getting around." Another benefit of a modestly sized house is that it forces families to spend time together, says McNicholas. "When everyone has a room to be entertained in, you’re not interacting much," he says. "When you have a smaller space, it puts you together. You can rediscover your family." But buyers do have to think differently. "It takes more thought and planning to live in a smaller space," Lathrop says. "You have to think about what you need, how you can be more efficient, and where can you add storage." The key is not to be afraid and to embrace the benefits, she says. "It’s much easier to take care of, and your electric bill will be lower. What’s not to love?" If space is at a premium, home owners need storage that’s both functional and beautiful. These days, it’s not hard to find. "They’re coming out with wonderful furniture with storage built right in," says interior designer Roberta Lathrop. "There are storage ottomans, end tables—even chairs with places to store your remote." When looking for pieces that can double as hidden storage space, pick designs that don’t skimp on the details. "Traditional details like crown molding or base moldings make a room feel grander," says Matthew McNicholas, an architect with MGLM Architects in Chicago. The same can be applied to furniture. "A room is nicer when the details in it are nice," he says. "The trend in bigger houses is to use less expensive materials because you need so much of it." In a smaller space, it’s easier to upgrade the materials for a more elegant feel. Don’t forget "found" storage, or space that isn’t obvious. Home owners can install bed risers, which safely lift a bed five or six inches to create storage space underneath. Another example: spice risers for kitchen cupboards. The bleacher-like devices create three times the space of a single cabinet. Many companies now offer heavy-duty shelving that attaches to the ceiling in garages, basements, and laundry rooms. Small closets call for big ideas when it comes to maximizing space. Some are simple and relatively inexpensive, such as adding a second hanging rod or storing off-season clothes under the bed. Experts suggest adding a shelf or two above the rods, hooks on the back of doors and bedside tables with lots of drawers. Decorative hooks on the walls can be used for purses or belts and ties. Of course, the simplest way to create more closet space is to reduce what’s going into it. "When it comes to closets, we just don’t realize how much we really have," says interior designer Roberta Latham. She suggests trying on each piece of clothing to see what fits and what still works. If it doesn’t fit, donate it. If something needs mending or is stained—and has been that way more than six months—get rid of it. "Do an inventory and determine how much space you need for tops, bottoms, shoes, and purses," she says. "Then identify your living habits. Do you like to reach in and grab, or do you prefer everything neatly folded away?" That can help determine what type of storage you need. Target the closet doors. Replacing a sliding closet door with a regular double door can add six inches of hanging space. Changing to bi-fold or pocket doors can add even more space, Lathrop says. Architect Matthew McNicholas says to look for empty or dead space to add built-in bookshelves or cabinets. Other than the bedroom, the kitchen is probably the room most in need of storage space. "There are so many new, more efficient ways of storing things," Lathrop says. "There are rollouts [in the cabinets], spice racks, all sorts of things." In terms of design, Lathrop says the trend is toward "a European look" that has more efficient storage than the traditional American cabinets. "The kitchen is one of the main meeting areas in a house," she says. "You should think about how you’re going to use the space and what you need to store." Coat Rack A line of decorative hooks hung on the wall can neatly store coats, purses, and scarves. Many sets come with a shelf on top, creating even more space. Trundle Drawers For storing off-season clothes, large or odd-sized toys, or anything else that will fit under the bed or under a table. Be sure to look for rolling casters. Trunks Trunks made of metal, wicker, or canvas can function as coffee tables or end tables with loads of storage inside. Corner Cabinets These shelves slide into corners to turn dead space into storage. They come in a variety of heights, widths, and finishes, and many have doors to hide what’s inside. Try open, hanging corner shelves for a more modern look. You can contact the staff of REALTOR® magazine by e-mail at narpubs@realtors.org. Giving the kitchen or bath a lift doesn’t have to shrink your wallet. Try one or two of these easy ideas to upgrade the hardest-working spaces in the house. Instead of everything but the kitchen sink, how about just the kitchen sink? Replacing a dated faucet does wonders for overall style. The whole kitchen will get a lift if you fit the island with a new marble or granite top. It’s far less expensive than refurbishing all the countertops, but adds a very high-end element to the kitchen. Tiling an entire wall or backsplash can be a dollar-draining proposition. Instead, create a fancy medallion with clearance tiles that will pop on the existing wall color. Cover kitchen windows with basic cafe curtains instead of pricier blinds or layered treatments. A flounce or a valance up top and a half-curtain hung at the middle of the window frame is just enough for a kitchen. Adding new fixtures above an island or counter not only adds style, it improves lighting over key prep areas. Don’t be afraid to mix and match; just keep pieces unified with one consistent element, like a color or finish. Fake a modern makeover in three steps: Strip down old window treatments and leave windows bare, paint walls and woodwork a fresh trendy hue, and ditch stained wood barstools for plastic or metal seating. Try a focal wall painted in an unexpected hue to add a modern touch for under $20—you’ll only need a quart of paint! No-cost idea: Ask friends or neighbors if you can dip into their stashes of leftovers from their recent projects. Add color and texture with high-impact accessories. A new table runner, fruit bowl or set of countertop storage canisters can be an instant, low-commitment update. A classic footed tub gets new life when professionally refinished and fitted with new fixtures, and it’s cheaper than replacing it altogether. Small baths look more spacious when a petite pedestal sink replaces a bulky cabinet-style version. To make up for lost storage, tuck a tall, slender basket under the new wash-up area. Another idea: Remove the doors from a cabinet sink, patch holes from the hinges, sand the remaining surfaces and apply a fresh coat of paint. Then use baskets or other storage containers in appealing colors and textures to hold rolled towels and other bath-time necessities. 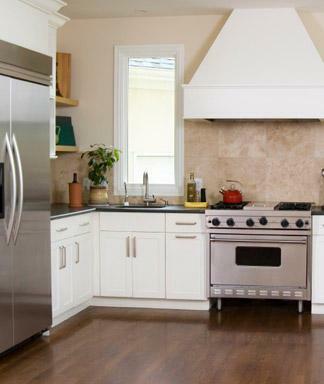 A new tile floor can require hefty material and labor costs, so consider painting a wood one instead. A chalk line, a straightedge and painter’s tape are all you need. Be sure to choose paint made for high-traffic and moisture-prone areas. Short Sales, REOs, Investor-owned, "as-is," "subject to bank approval." These are terms that the average buyer is seeing everywhere. In a market that is already getting negative press and "doom and gloom" projections, the idea of purchasing, or selling, right now can be very confusing and scary. Short Sales are here to stay for awhile, if you are thinking of a home purchase, you will definately run into one. Here's what to expect, and how to handle the process to minimize the uncertainty of buying one. Let's start with a definition. What is a short sale? It is definitely NOT a sale that must be done in a short amount of time. In fact, they have the reputation of taking a very LONG time. This doesn't have to be the case, but it is the reputation. A Short Sale is a situation where the seller is asking the bank to accept less than is owed in exchange for the release of the mortgage lien. The lenders will often do this if they believe that the home owner will ultimately allow the home to go to foreclosure and they will end up losing more money by waiting it out, than in taking a quick deal now. The process should be simple, but in practice it's not, why? First, the listing agent does not know how to handle this process. In a Short Sale, the bank is NOT the home owner and should not be sent all offers as if they owned the home. But often this is what the listing agent does. They mistakenly believe that their job is order-taker and that they just send offers off and wait. The lender ends up with a file of 10-20 offers or more, many of which are from buyers who are not even interested anymore. When an asset manager has 100s of files to work on, this type of file is not going to get much attention because it's too hard to work. This is not the way to handle a Short Sale, but this is exactly what many people have experienced and why Short Sales have such a bad reputation. So, how should we handle a Short Sale? Regardless of whether we are representing the buyer or the seller, the goal is to send 1 offer to the bank for approval. As a listing agent, we price the home reasonably and collect offers. We handle them the same way we would for an equity sale...we check credit, verify funds and perhaps make counter offers. Once we have a solid buyer, we open escrow and send the 1 accepted offer to the bank. Then the home goes into Back-up status. This is a benefit for all concerned! The buyer can feel comfortable that they are the only offer on the table, the seller knows that they buyer is committed since they have a deposit in an escrow account, and the lender is looking at a complete file with a solid offer that is ready to close once they give the approval. I average about 45 days on these Short Sale approvals. When we represent the buyer, we try and work the same way. Many listing agents are happy to find a buyer willing to open escrow and wait. Not many buyer's agents ask for this. We do! I will advise my buyers to write a decent offer if the listing agent will open escrow. We will incur no costs until we have formal approval from the lender, no inspection, no appraisal etc. So we are not jeopardizing our funds, but we know that we are the only offer the bank sees. Frankly, if a listing agent is not willing to open escrow with our offer, I will advise my buyer not to write the offer...or at least to keep looking in the meantime. There is no guarantee we will ever hear anything back from the listing agent. We might also be tempted to outbid an offer that isn't even valid anymore. This is the way to over pay for a home, and that's the last thing we should do in this market. We can watch that listing and at some point if it becomes an approved Short Sale, we can move then. Which brings me to another term one sees in advertisements. Approved Short Sale. What does this mean? It means that some offer price was approved and now that buyer is gone, as we discussed above. But the approved price is also most likely based on home values from a few months ago so we need to be careful about writing offers based on the approval price. Due diligence must still be done to make sure we are offering a fair price based on current values and not what the bank appraised the home for several months ago. Therefore, we might still write a lower offer and it will need to go back up the chain of command at the bank for approval. Often the list price will be lower than the approved price for this very reason. So when you see this, ask your agent to explain the situation with that specific home. Once we have bank approval....we are good to go! We move forward as in an equity sale. We willl then get our home inspection, appraisal, loan approval, insurance and review disclosures. Now we can feel free to incur our normal buyer costs. I hope you have more of an understanding of Short Sales and how to handle the process. I have more information on my website at www.great-western-realty.com which goes into detail about the seller and buyer sides. But don't be afraid of Short Sales, there are some great prices to be had working these.